Huawei is a good choice for the mobile seekers who are looking for the budget minded options. The Ascend G300 is 4-inch screen phone packed into a sleek and good-looking body. The phone is offered by Vodafone. In UK it is about to be for sale on the contract price of £15 per month. The phone is officially released at Mobile World Congress in Barcelona. The front of the phone as already told is dominated by a 4-inch screen, provided with an impressive metal looking edging. Rest of the phone is made of glass and looks similar to the Orange San Francisco 2. Its backside gives an impressive effect of two-tone effect of silver and white. The black plate is made of plastic. At the top of the back panel is situated a 5-megapixel camera. The 4-inch screen has a resolution of 480x320 pixels. Its display if very bright and sharp but for browsing purposes it requires lot of scrolling up and down. The G300 operates on Android 2.3 Gingerbread. This offers comparatively simple operations and is not that much savvy for the robust applications and high-end technologies. The Gingerbread is supported by the 1GHz processor than the more up-to-date Ice Cream Sandwich. 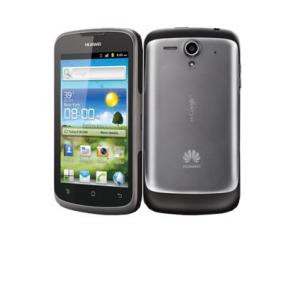 Overall The Huawei Ascend G300 is a good-looking phone with a nice screen and affordable pricing.